Whole Being Flourishing is a platform that offers the most potent and pristine healing that is available to Lightworkers. After years of study and searching, and diving deeply into the metaphysics of healing, we found the work of the great mystic and seer, Almine. Her modalities are untaintable, infinite in depth, and peerless--they evolve with us as we push the boundaries of the created cosmos. Through them, we can leave linear time where we age and die, and we leave the law of karma and compensation that binds us to cycles, and we move to a reality that is impelled by inspiration and has no limitations and no limits to what may be manifested. Healing is not about improving current conditions, imposing energetic changes, or coming to 'forgiveness', rather is it about a return to wholeness, where the broken state never was. There is nothing to improve or to forgive, there is only all the stories to dissolve and let go of. The body 'heals' through remembering it never was harmed as the stories dissolve like mist in the rays of the sun. Both Jodie and Anita have been steeped in these modalities for the last 6 years, and are committed to daily self-purification so that we are clear vessels to deliver the activations. You can read about the remote healing programs and daily maintenance, in the Monthly Healing Program, below. We also offer other specialized programs that are the result of years and years of unrelenting exploration. The Weekly Healing Program initiative is part of a larger vision of bringing liberation to all who are earnestly seeking to change their lives. It is for people at all levels on their healing journey. It works with powerful healing tools and alchemical processes, delivering the cutting edge of what is possible to embody at present, through engaging many angelic beings that are here to support the biggest leap of consciousness in the evolution of humanity. Logistically, we do a remote healing session weekly, invoking all support for what our particular focus is, and then work remotely on all participants. This is followed up by daily maintenance, where a powerful field of healing blessings is maintained around participants. Participants receive instructions on what to do during the remote session, and how to open to receive the blessings during the week. Each week, an audio meditation or some material is shared, to support the work we are doing. Both Jodie and Anita share in their devotion to impeccability and effectiveness in healing, and it is not until this year that it felt right to be offering this. Before then, there was still many unclear factors as life on earth was still under elements of interference. That has changed in the last six months, and it is very much time to move into the the highest of what is possible presently. You may think of it as being part of the first wave of those who establish themselves outside of the laws of compensation. Each week we feel the pulse of life and sense what is being called for, and from the vast set of alchemical healing tools and ceremonies, we focus on aspects of the physical, emotional, mental, and spiritual levels of being. Anita works through sensing, Jodie through sense and inner sight, and together we hold a sacred space in which we work with many specific leagues of angelic beings and archetypes who are eager to participate in helping establish highest potentials in embodiment. We work form the understanding that there is perfection underlying all appearance; and that healing is a process of remembering of our wholeness… remembering the Self that never separated; remembering that separation is a dream. The chakras are evolving as we enter the feminine reality, and their functions are very different in the new reality. The chakras are ‘lenses’ onto vast fields of existence that emerged over eons in the ‘dream of separation’–the reality we are now leaving behind. There are specific higher perspectives and powers to live, in order to have these chakra-lenses attuned to the new feminine reality that is now accessible. As they so attune, new potentials arise and unfold through our being, and we flawlessly manifest our self-sovereign reality. The chakra activation program is a stand-alone activation series, outside of regular Whole Being Flourishing monthly membership. This stand-alone offering consists of remote sessions that run for 10 sessions (10 weeks), and is focused on establishing the higher function of the chakras in support of manifesting a flourishing life through deep attunement to the potentials arising. In the new feminine reality, all attention and focus is on the expression of the true potential self through which life ever new may flow forth. This causes our reality to become a fluidly expanding space of expression. In the new reality of ‘awakening’ in the feminine, outer reality is no longer static, but rather a fluidly reshaping space of expression for the emerging, boundless potential self. We are leaving the experience of struggle and repetitive lessons (karma) behind, and can now embrace a life of endless blessings and magic, and the chakras must adjust in order to attune to this new reality of ‘heaven on earth’. The sooner that we acclimate to the new, the sooner will we experience the graceful unfolding that is now possible. The program consists of 10 healing/activation sessions at a set time on Sundays. Sessions are approximately 90 minutes, and conducted by long-time colleagues, healers Jodie and Anita Lucia. Each week you receive access to a page of materials to work with in order to deepen integration of activations, and live in alignment with the higher powers of that particular chakra. The first and last sessions activate the whole chakra system. You will have access to resources after the program, so you can keep deepening in the new powers of the chakras! This 20-Week self-study program is an in-depth dive into the superpowers of the 12 ordinary meridians. Outer reality, which is inseparable from our inner world because it is the holographic projection of inner, manifests through the 12 ordinary meridians. Nothing can appear in our environment unless it has resonance to the ‘song’ of the meridians. In fact, the meridians sing our reality into formation. The organs organize life in the physical, and by their frequencies and those of their meridians, matter takes form. It is truly a miraculous thing to recognize and behold how we manifest from our bodies. Our bodies are truly alchemical cauldrons for the manifestation of divine Intent! 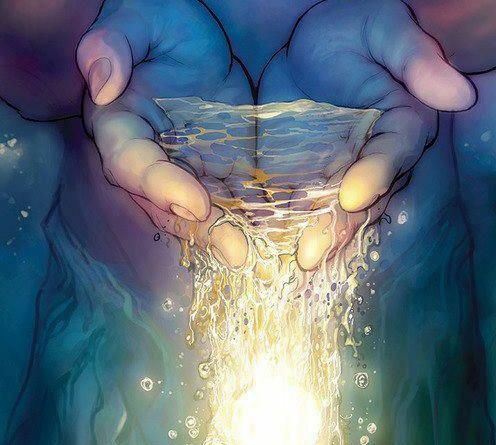 As we feel our external environment increasingly as our direct expression, we will be far more motivated to live from purified meridians, knowing that as we awaken their powers, they will become the beautiful rivers upon which we journey through life. From the inner activation, we lay down the ‘tracks’ for life to unfold within. These are not tracks in a linear time sense, but rather a fluid infrastructure into which we can actualize the potentials we are cause for with our whole being. We know that nothing gets manifested in our outer environment, that is not first activated within these 12 meridians – so that alone should provide the impetus to dedicated activation of these great powers. In this 3-6-months, individually customized program, you are assisted to a return to greater wholeness and physical vitality through daily remote healing with specialized protocols from the exquisite modality of Belvaspata; please visit our About page to meet experienced practitioners Anita Lucia and Jodie. In addition to the sessions, you will receive audio and video meditations for self-paced use and study in support of healing, as well as a general monthly healing plan with daily exercises, based on your condition(s) and level of engagement in your healing. The methods are not medical advice (you are encouraged to carefully review our Disclaimer and Terms and Conditions pages), and will in no way interfere with any current treatment you are receiving from a medical professional. The cost is $375 USD. If you require a monthly payment plan, please be in contact with us to discuss what may work for you. We recommend the full 5 months for lasting energetic change, but you can decide to quit at any time if the program is not for you. If this program is of interest, please book a 20-30 minute free consultation so we can determine if it's a good fit. Visit the details here to learn more about this offer. Many years ago I had a clear sense that there needed to be healing support by way of an entrainment field, such that clients could be held in a 'sacred space' that dissolved interference and upheld higher potentials. That is when I started working on the EHS tool (Enhanced Healing Symbol, later renamed Embodied Harmonics Symbol). I worked on it tirelessly for years, as I searched for more effective healing methods that would work in all the clients that came to me. I wove it into a process I called 'Vertical Awaring', which enabled depth perspective beyond the stories of pain, and the awakening of the 'observer' self--portal to the eternal self. This changed my life completely, as I was now able to switch from being caught in situations to observing them from a place of deep peace. More graceful unfolding resulted as I navigated great intensity at the time when I discovered this inner alignment. Meanwhile, the EHS expanded as I did, but it was not until I met Almine and had her bless it that it expanded to far beyond. It is now a very powerful tool that entrains through tonal luminosity (indivisible frequency and light). It is fully supported and holds most expansive flows of tone and light that elevates organs, meridians, body systems, etc, to higher vibratory states....higher harmonics. it works on all levels: physical, emotional, mental, and spiritual. And in the course of the years, 'vertical awaring' was renamed the 3-centers alignment, and it expanded to include 'horizonal awaring' as well. You see, initially I only had part of the picture--the piece that served in the Dream of Separation. The other part came from the feminine reality, where life is experienced in its broadest aspects from knowing the self as vast as creation itself. Vertical awaring is about individuation that expresses the true self and is free of conditioning, negative emotions, attachments, and programs, and it creates a portal opening to the horizontal reality of the feminine. When the true feminine can arise into embodied expression, we open to a life beyond opposites...a life of miracles. This topic is addressed from many angles in the programs we offer, but for now, I will briefly explain how monumentally life-changing it is to operate from vertical and horizontal 'awaring', or from 3-centers alignment that is fully activated in outer and inner space. With 3-centers alignment of Head, Heart, and Gut from the 'outer' perspective, we create an opening to the eternal self that brings to us pure potential in alignment with our Heart's true desires. When we engage from our vastness, we permeate our whole environment and inner and outer realities are experienced as indivisible, We then live in devotion to the Self...to our full potential arising, and all relationships express our relationship with Source, with Life, with Self. As we deepen in this and the inner aspects of the 3 centers activate, the body evolves new faculties, and we participate in life as co-creators...the potency, authenticity, and inspired action that we express into our lives lives is then a blessing to all life. We bring heaven on earth through the sanctity of our own journey wherein we create of our life, a work of art. Your EHS is yours for life! And you can use it in all of our programs for enhanced effectiveness.